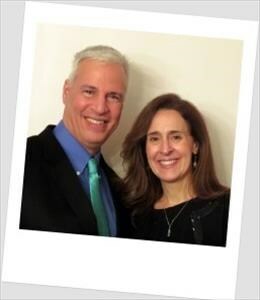 John & Mary Luca formed our team to provide the highest level of customer service to our clients. Let's face it - the real estate market and the techniques involved in buying and selling are constantly changing. For one agent to amass expert knowledge in the market, stay on top of related regulations, and research and employ the best technology available to serve customers is rather unlikely. That is why John and Mary chose to build a team of specialists to serve our clients better. When you enlist the services of our Team, you not only get the new model of a team of specialist to serve you - you also get the old-fashioned relationship model that has always helped our clients with their transactions - after all, we are real people who care about you and your happiness. We take this knowledge and high level of service, and apply to all of our clients whether they be First Time Home Buyers or Luxury Home sellers. We look forward to sharing our expertise with you! We have needed a lot of help with real estate transactions recently -- selling a condo to combine our households after we married, then looking for a larger home to buy, and now (finally!) selling the small home we've been living in -- and John has gone the extra mile for us time and again. His regular contact with us has made it easy to get our questions answered, and his aggressive marketing has produced results FAST. We've been so much clearer on the confusing details because of John's careful attention and patient explanation. He's made all the buying and selling almost seem easy!